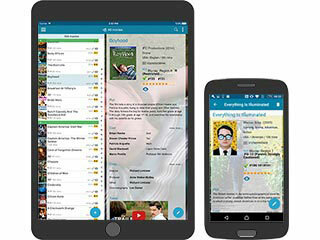 Just search our huge online movie catalog ... ... by entering titles or scanning DVD / Blu-ray barcodes. 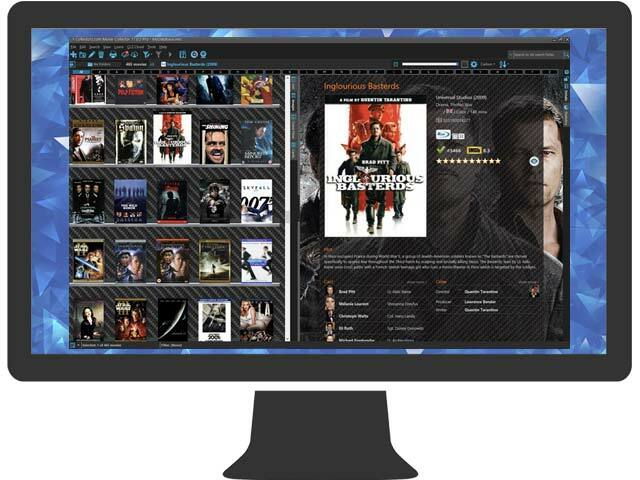 Movie Collector and OPN-2001 makes cataloging movies easy and fun! I just wanted to take a moment to say thanks again for helping me today. You were 100% correct. After I compared the old version to the current version, I visually verified the current version is far superior to the last version I purchased. I love using my new toy, OPN-2001, with the current version of Movie Collector. Using the OPN-2001 and the current version of Movie Collector is going to save me a ton of time cataloging my movies from scratch. When I first starting using your software, I was cataloging my movies one at a time. I think I just stopped cataloging after awhile due to the large amount of time it took processing one movie at a time. Now, I finally have the time and the tools to handle this large task that is going to make this project fast and fun. I love the new skins for the new GUI and I love how fast the software is able to import the scanned UPCs from the OPN-2001. It is absolutely amazing to watch the software do the hard work for me and allow me to see all of the great movies in my collection in one place. Watching movies is always one of my favorite pastimes. Now, cataloging movies with the current Movie Collector is my new favorite hobby. This is the greatest movie cataloging software I have used. It is a godsend. I have close to 400 movies and I can keep track of all of them now. I was looking for a movie database program to catalog all my movies.